Playing Roulette HD will test whether lady luck favours you or not. You will need a massive dose of luck to win even a single spin. Experience the thrills and glamour of the real casino as you savour the classiest casino game ever developed. Visibly stunning, the exceptionally HD quality leaps out of the small screen of the mobile devices. Using the incredibly advanced touch screen technology, you have greater control over the gameplay and the interface. The pinch to zoom feature and the accompanying sound effects will fire you up for playing for long. Meaning you can play from anywhere and anytime on your Android or iOS mobiles and tablets. Play Roulette on the move! Fully mobile optimised so that it’s compatible for playing on the varied display sizes, you are treated to 3D animations and graphics as the Roulette Wheel spins. Mobile Roulette HD brings you the more popular European single ‘0’ version on your mobile devices. This will make it simple and familiar to all the new players and the seasoned ones. It is played in the landscape position making it more comfortable and user friendly. Thus allowing you to enjoy the game for a long time. You can make a minimum bet of 0.50p and go right up to £1000 for a single spin. 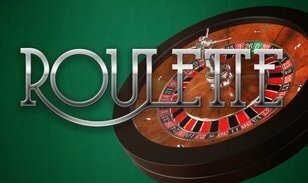 Following the online European Roulette game rules, you can place the bet on a single number and win a 35:1 payout. Or else opt for the corner, street, line or the odd/even bets. If you like colours, then bet on whether the ball will land on the red or black numbered slots. Whichever bet you make, the game of chance will decide your final win. So play the Roulette HD game with the ease and experience the real game virtually!